View Poll Results: Who is your favourite character in this year's final? This year's final has ended in a tiebreaker, so I thought the best way to deal with this would be to do a poll instead for 3 days! Most votes wins... hopefully! Hopefully the idea of a poll should make more people visit the thread, if you guys want to get other forum users to vote I'd appreciate it! Interesting fact: Zidane is the highest ranked character NEVER to have won this game, coming 2nd five years ago. So who wins? 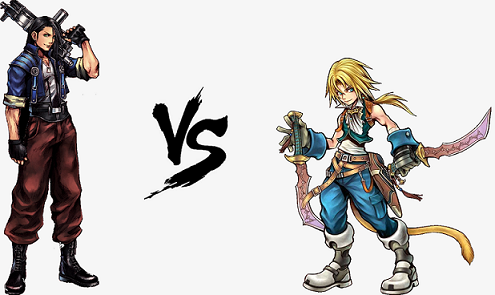 Laguna or Zidane? Last edited by JohnnyMercyside; 12-01-2018 at 11:17 AM. Not long now until the end of this poll! At the moment we have a winner but there's still around 16 hours to go! Laguna wins! Check out this thread for more stats and info!